On Sunday, the state's second largest newspaper, the Wisconsin State Journal, editorialized in support of redistricting reform -- specifically endorsing an approach supported by Common Cause in Wisconsin (CC/WI) in which our state would adopt a process similar to what our neighbor, Iowa, has had in place since 1981. This powerful editorial (in which CC/WI is cited) follows two other recent editorials supporting redistricting reform in the Milwaukee Journal Sentinel and the Kenosha News. CC/WI will soon be releasing a list of legislators who support this reform -- a list we will be updating and releasing weekly so that citizens will know what members of the Wisconsin State Senate and Assembly support this critical reform and those who continue to support the corrupt status quo. Legislation to reform Wisconsin's current, corrupted, extremely expensive (to Wisconsin taxpayers), secretive and hyper-partisan redistricting process is expected to be introduced soon. 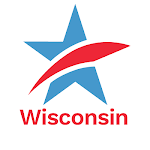 This coming Thursday, the CC/WI State Governing Board will hear from State Representative Kathleen Bernier (R-Chippewa Falls), the new Chair of the Wisconsin Assembly Committee on Campaigns and Elections. She will address the Board and take questions on her plans and vision for the Committee and on political reform for the 2013-14 legislative session. She will be followed immediately by State Senator Dave Hansen (D-Green Bay), a leading proponent of redistricting reform who will also make remarks followed by Q & A. Representative Bernier will begin her address at 11:15 AM and finish up by 11:45 AM. Senator Hansen will follow shortly thereafter and will wrap up by 12:15 to 12:30 PM, depending on when he begins. The media is invited to attend to cover both Representative Bernier and Senator Hansen. The meeting will be held in Assembly Hearing Room 328 - North West of the State Capitol Building in Madison. Common Cause members and supporters are invited to attend as well. CC/WI requests that media and others call or email us before hand if you plan to attend. Our phone number is 256-2686; email is ccwisjwh@itis.com. Redistricting Reform Gaining Momentum/GOP Rep. Kathy Bernier and Dem State Senator Dave Hansen to Address CC/WI Board in Capitol on ThursdayTweet this!